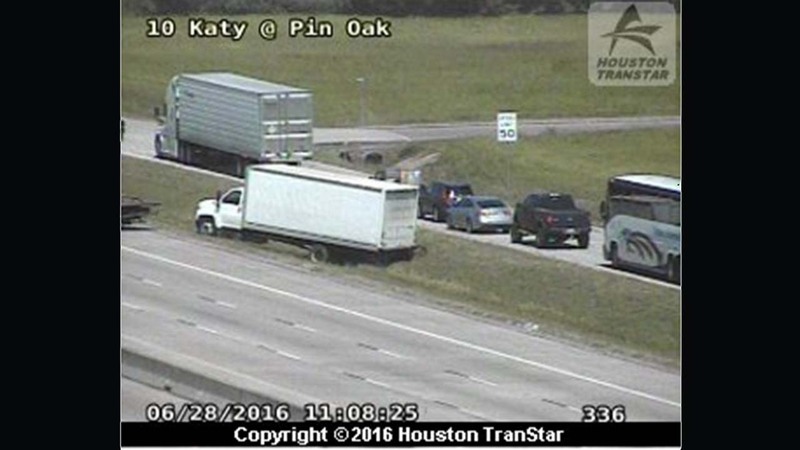 I-10 WB at Pin Oak partially re-opens after big rig wreck in Fort Bend Co. Some of the I-10 westbound lanes at Pin Oak remain blocked after a big rig wreck in Fort Bend County, but at least one lane is now getting by. Houston TranStar says two vehicles were involved. It's unclear at this time whether anyone was hurt. The wreck is currently listed as a HazMat spill. It's unclear what substance was spilled on the roadway.